This intricate braided cord bracelet with a gleaming sterling silver token makes a statement. It’s the perfect gift for the change-maker in your life. Do you know a new graduate ready to take on the world, someone about to start a new career, or a friend about to embark on an amazing journey? This piece is an inspiring gift for any of them. 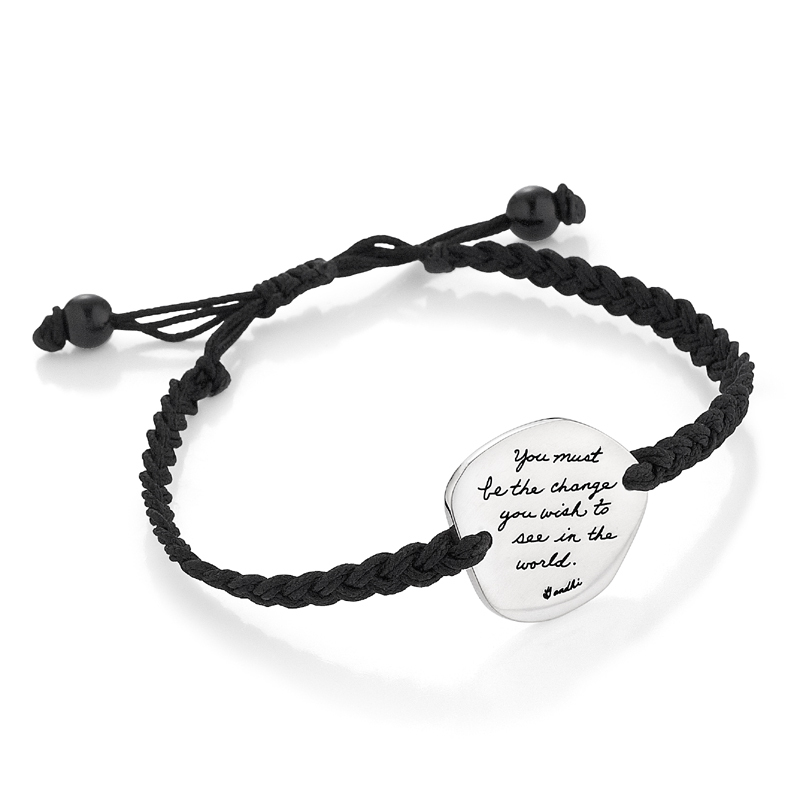 We engrave this bracelet’s sterling silver amulet with Mahatma Gandhi’s inspiring words, “You must be the change you wish to see in the world.” Then, we hand polish the silver to make sure it shines with hope and encouragement.